IBM MobileFirst for iOS Safe Site enables production workers to instantly document and share information about unsafe work conditions with fellow workers and supervisors. Safe Site uses powerful analytics to give recommended courses of action and potential resolutions. When incidents are reported, the app can identify risk hotspots on site. It can capture images and associated data for higher quality reporting. The built-in geo-fencing capability alerts workers when they are entering a high risk area. Workplace injuries cost billions of dollars, but Safe Site helps companies protect the health and safety of their workers while reducing costs. 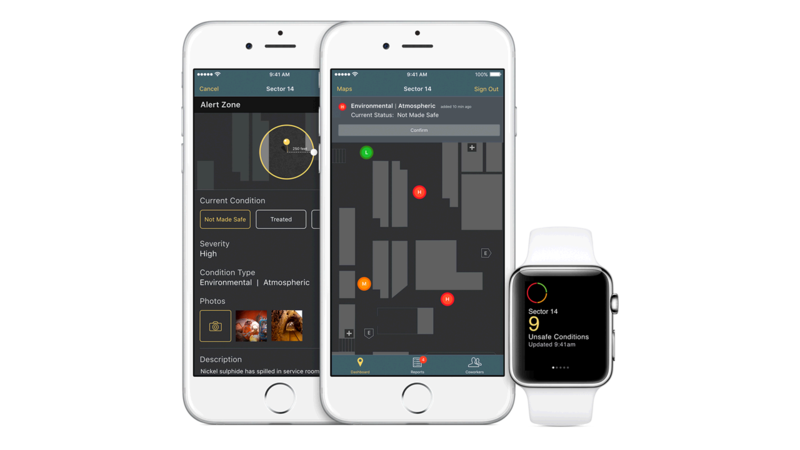 Use the built-in camera and iBeacon technology to document and pinpoint unsafe conditions instantly and create awareness of high-risk areas. Share information with fellow workers to help prevent future incidents and get a recommended course of action straight from your iPhone and Apple Watch. Compare incidents to make better decisions in real time.